Robert A. Seder is at the National Institute for Allergy and Infectious Diseases in Bethesda, Maryland; he met Ruth in 2005 through his work on vaccines, specifically, the PfSPZ vaccine. Fidel Zavala is at the Johns Hopkins Bloomberg School of Public Health in Baltimore, Maryland, and is a member of the Malaria Research Institute. He met Ruth in 1980 as a postdoctoral fellow; they worked together for 23 years. Ruth Nussenzweig’s pioneering work was central to the ongoing effort to develop vaccines against malaria. Each year, the disease afflicts more than 200 million people and causes around 450,000 deaths, primarily in infants and young children in sub-Saharan Africa, according to the World Health Organization (WHO). Nussenzweig discovered a way of immunizing mice against malaria, using a technique which others later confirmed could work in humans. She also had a crucial role in identifying a good target protein for vaccination. She died on 1 April at the age of 89. 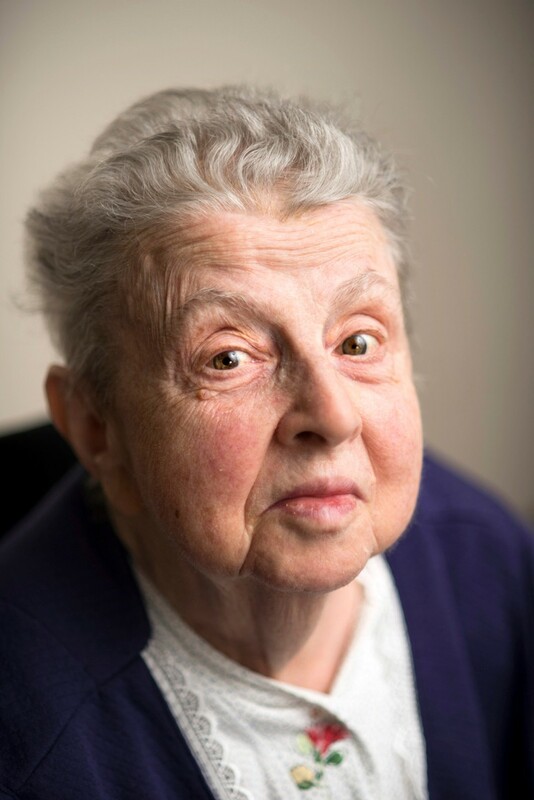 Born Ruth Sonntag in 1928, in Vienna, her parents were physicians. Soon after the Nazi occupation of Austria in 1938, her family fled to Brussels, where they hid for a year before moving to Brazil. Ruth received a degree in 1953 from the University of São Paulo School of Medicine, to which she returned to defend her PhD in 1968. At medical school, she met fellow student Victor Nussenzweig, and they married in the library. Their marriage of more than 60 years was also a lifelong scientific collaboration. After a stint in Paris, Nussenzweig joined the New York University (NYU) School of Medicine in 1965, and turned her attention to immunizing mice with malaria sporozoites, weakened by radiation. Sporozoites are the infectious form of the parasite, introduced into humans by mosquito saliva; they migrate to the liver and reproduce, after which red blood cells become infected and symptoms begin. Nussenzweig’s was an unconventional tack: she was attempting to actually prevent malaria infection from the outset. Most researchers were targeting the parasites only after they infected the blood cells. Nussenzweig’s approach proved fruitful. Within just two years, she published the seminal finding that mice could be protected from malaria by immunizing them with radiation-treated, or attenuated, sporozoites of Plasmodium berghei, the organism that causes the disease in rodents (R. S. Nussenzweig et al. Nature 216, 160–162; 1967). In many of the immunized mice, the parasites were unable to reach the blood-infection stage. Before this, immunologists had deemed the strategy unlikely to be successful. On the basis of this crucial observation, other researchers showed in the 1970s that human volunteers exposed to hundreds of bites from irradiated mosquitoes also developed immunity, and were protected from malaria infection (D. F. Clyde et al. Am. J. Med. Sci. 266, 169–177; 1973). But it took several decades of work to isolate purified, radiation-attenuated sporozoites from mosquitos in a form that could be used as a vaccine in humans. This led to the development of the PfSPZ vaccine, which is undergoing phase II clinical trials in Africa to assess safety and efficacy. Nussenzweig’s next major breakthrough came in 1979. She showed, in collaboration with Victor, and their colleagues, that mice could also be protected from malaria infection using antibodies against one antigen — later named the circumsporozoite protein (CSP) (N. Yoshida et al. Science 207, 71–73; 1980). This finding prompted Nussenzweig and others to identify and clone CSP from the parasites that infect humans: Plasmodium falciparum and Plasmodium vivax. This research led other groups, along with the major UK pharmaceutical company GlaxoSmithKline, to develop the malaria vaccine RTS,S in the late 1980s. RTS,S has progressed further than any other therapy for the disease, through phase III clinical trials. This ‘subunit vaccine’ has been shown to reduce clinical infection in 5- to 17-month-old babies (M. T. White et al. Lancet Infect. Dis. 15, 1450–1458; 2015). It should be rolled out in the next year for further testing in Ghana, Kenya and Malawi, on the basis of recommendations by the WHO. A third vaccine strategy was also inspired by a major finding made by Nussenzweig’s research group. Her team demonstrated that CD8+ T cells, a type of white blood cell that mediates protection against viruses and tumours, have an important role in how attenuated sporozoites confer immunity in the liver (P. Romero et al. Nature 341, 323–326; 1989). This has led researchers to investigate vaccines that induce T-cell immunity to kill parasites in the organ. Nussenzweig was the first woman to chair a department at the NYU School of Medicine. Under her leadership, and in collaboration with Victor, the department trained hundreds of students and fellows — many came from Brazil or later went to work there. Starting in 2012, she and Victor themselves returned to do research in Brazil for some months each year, at the Federal University of São Paulo (UNIFESP). Many of her disciples are now leaders in the field. She and Victor also inspired a love of science in their three children, all of whom are successful academics. A defiance of established paradigms and a relentless pursuit of new ideas defined Nussenzweig as a scientist. She was a devoted experimentalist, which give her work a solidity that allowed once-controversial ideas to become mainstream. She was always excited when discussing research, and was a visionary role model, mentor and colleague. Respect for her legacy requires us to match her determination and focus, to finally bring an end to malaria.